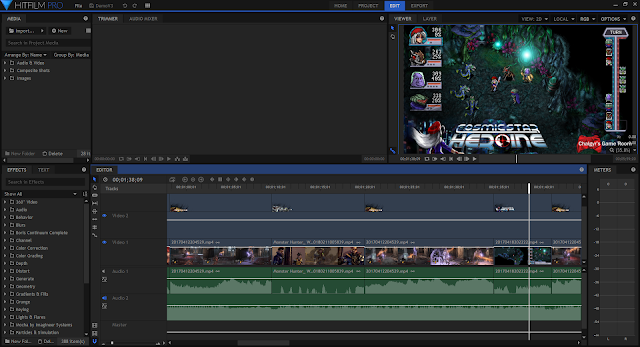 I have now been toying with Video Editing for about three years ever since sitting down to Fastcut by Magix. Since then, I've much prefered recording gameplay and experimenting with what could be done such as making Let's Plays over Streaming. With plenty of different ways in order to capture footage, Mirillis Action! on a computer, the PS4 Share functions or simply using an AverMedia (thanks again Robert! ), Elgato, or the new fantastic addition to my life the Riiai game capture module, you need a good software to carry you through. 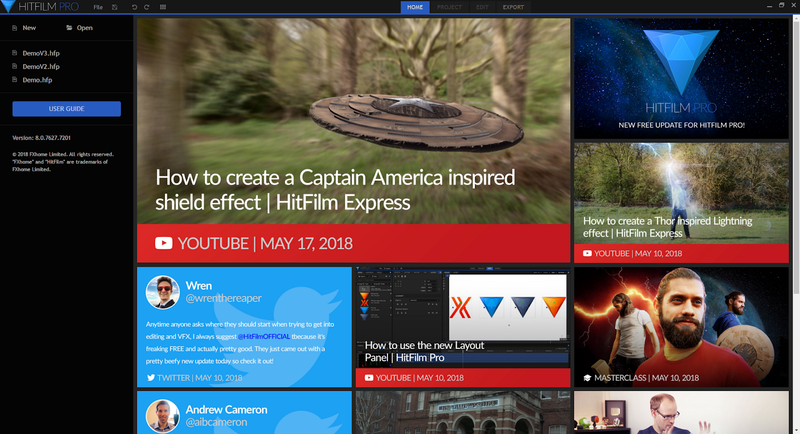 With plenty of options out there, HitFilm Pro could be a contender for some of you looking for a decent software at an "affordable" price. With hindsight being 20/20, there are a lot of things that seemed to be amazing then, that would simply be ok now. Fastcut isn't bad but its options are limited. From there I went on to try Sony Vega Pro. It was better for its options but it couldn't actually handle the proper outputting on PS3 video. I've toyed with a few others in the meantime but one day I finally bit the bullet and bought the Lamborghini or the Tesla. Whether at home or in the office, as most of us have some form of 9-5 that we require to pull off in order to pay the bills, I have Adobe Premiere. Compared to that, not many others can come close but the reality is, if you don't pay it by month which is expensive (and I have it as part of the suit), good luck buying it outright as the option for "normal" people has pretty much disappeared. 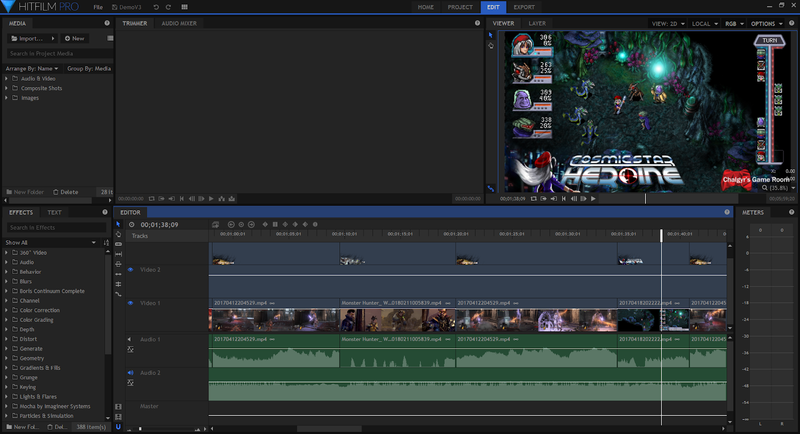 The reason for all the above is that HitFilm Pro, upon loading it, made me think of Adobe's Premiere. The interface is clean and set up in a similar fashion. Adding or removing elements is easy with a menu at the top that provides checkboxes for quick and easy hiding and showing elements that you want on screen. If you want to move boxes around the screen, go for it. You aren't limited to the primary window allowing for other elements to be moved outside of your primary interface. 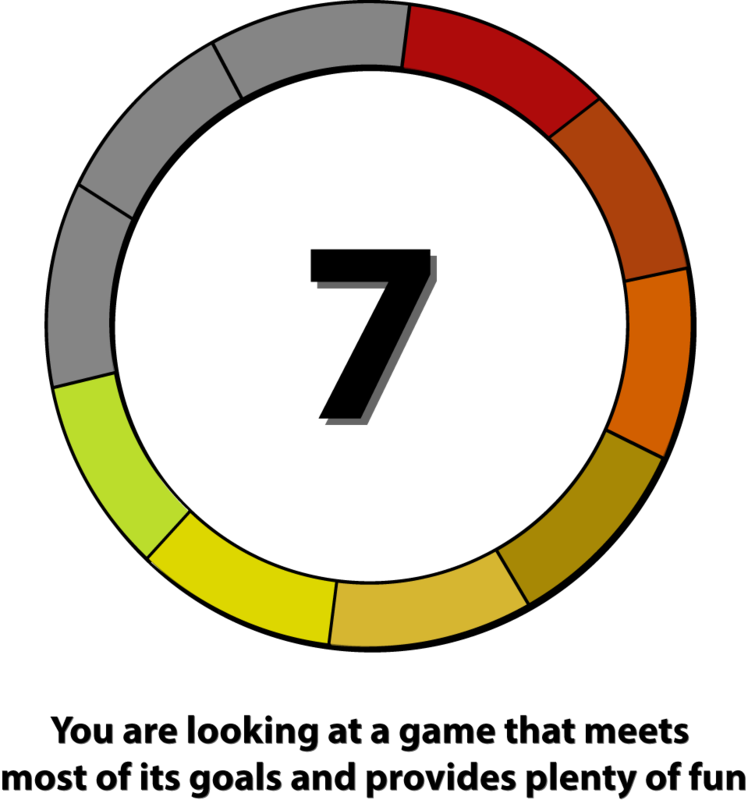 More than this, you can choose which "mode" you want to be in which can all be customized. Setting up your own layouts for Assembly or Editing make it easy to switch between especially if you really want to concentrate on that one element or have something look just slightly different while working on another task. With how familiar the setup felt, getting into it was a slightly different story as several elements weren't exactly where I would have expected them to be. You can't simply click and drag media into your timeline and have it added into your resources. You have to either import or click and drag into the media tab in order to have these assets setup and ready to use. It's a tiny difference that may not seem like much, but for a large project, it adds extra time that could be better used upon something else. Another such element is when you zoom into your timeline you zoom into where your needle is instead of where you are looking making you have to scroll back to it. These are little things but they take an adjustment period just like I have yet to figure out how to scroll along my timeline like I do within Premiere. The last downside, is probably the biggest because of how much of an issue it was to actually find it. Adding text. For some odd reason, text cannot be simply added to a video. Instead, you have to make an element called a Composite Shot in order to add text into it and make your adjustments there. Once that is done you can then drag the Composite Shot onto your timeline in order to make your text appear and then move it to wherever you need it on the screen. Want to change the font and the color however? That you'll have to go back into your Composite Shot to do. It was really weird and it felt like it complicated something that should have been so easy. Once you get familiar with how these work, producing a video in HitFilm Pro becomes rather smooth as you'll have ironed out what you needed. Setting in and out points on your media's source viewer is easy with either shortcut keys or buttons available. Putting them into your timeline as either a split (cuts the current video to add in a segment) or overwrite (basically overwrites the data for the amount of time that is being inserted) works great. Realize that you added too much time and want to shorten up a segment? Segments can easily be modified on the timeline and then readjusted to show video in those times as you need to with the various tools at your disposal. Like Premiere, the video design is non-destructive. Non-destructive means that it isn't like Photoshop, GIMP or Paint where you eliminate what you don't want. If you need it back, you need to start over. This isn't the case with these video editors and it makes editing just that little bit easier. 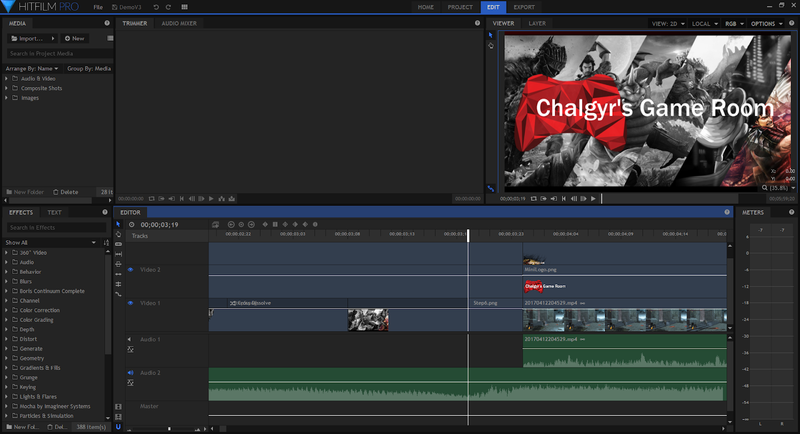 Adding in effects to either the Video or the Audio is just as smooth as Premiere. You find where you want to add in the effect, generally in my case for transitions in or out, and you add them. Don't want them anymore? Delete it. Want them to go on for longer or be be shorter? Modify them. All of these elements are easily taken care of. I didn't just get to play with HitFilm Pro though. I also got the chance to poke at two other of Ignite and Action Pro. Ignite is for users like me that use another editing platform not unlike the fantastic Boris FX Packages. Ignite allows for you to look through over 180 different plugins and also comes with a huge amount of special effects to be added into your projects. Action on the other hand is a whole other ballpark that allows for you to make your own motion paths for either 2D or 3D animations. 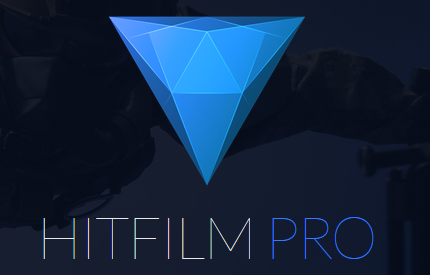 Once you're done, you can export them out from Action and import them into Hitfilm in order to do whatever it is that you set out to do. Overall FXhome Limited's HitFilm Pro is a good software. It, like others, has a bit of a learning curve but once you get used to them things start to go smoothly. It does have some limitations compared to others that you may use but when you compare its price point to the monthly subscription such as Adobe's Premiere or the more expensive current version of Sony Vegas Pro? It's a solid buy. Berserk and the Band of the Hawk - Review PS4. Graphics were done in Photoshop CC 2018 between wallpapers and logos for each game along with various free online brushes.